Big congrats to this week's ticket winners. 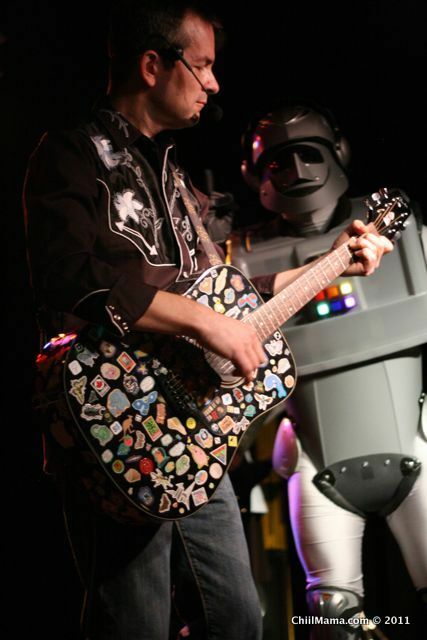 We are still taking entries through midnight for 4 tickets to Human Tim + Robot Tim at Beat Kitchen. We have winners to announce for Ellis Paul at SPACE, Rolie Polie Guacamole at Family Grounds, our Kindie CD/DVD Collection (worth over $60), and theatre tickets to Taming of the Shrew at the award winning Chicago Shakespeare Theatre!! Did you win? We've still got great giveaways open for entries. *Click here for details on all of the above shows for this weekend and ongoing giveaways. Ellis Paul Family Show 4 Tixs--Teresa O.
Rolie Polie Guacamole 4 Tixs--Christy H.
$60+ Kindie Collection CDs/DVDs by Suzi Shelton, Bari Koral and Little Miss Ann--Melissa P.
Taming of The Shrew-Short Shakespeare 4 Tixs--John H.
Come ChiIL Out with ChiIL Mama. And remember to check back in like we vote in Chi, IL...early and often for great new, original videos, photo filled features, nationwide give aways and Chi, IL tickets!